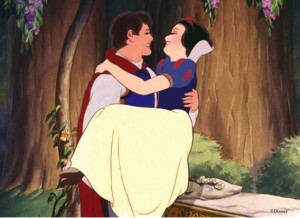 It’s hard to think of tales like Snow White and Cinderella without immediately thinking of Disney. But most people know that these classic stories were around long before Walt Disney’s existence. What many don’t realize is just how weird and terrifying the originals were. However, as anyone who’s read my latest Disney article – Five Disney Films That Are Actually Horror Movies – knows, Disney’s not for the faint of heart either. 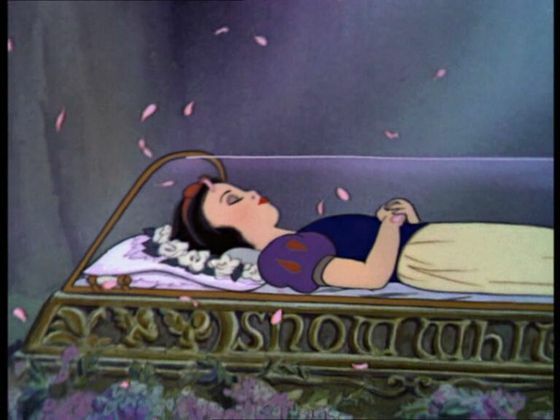 In the Disney version, Snow White bit the poisoned apple, was kept in a glass coffin and awoken by the kiss of a handsome prince. Weird enough already, right? Well, in the Grimm story, it was even weirder. The prince didn’t wake her up with a kiss. He fell in love with her body — literally, that’s not meant as an innuendo — and wanted to buy her coffin off the dwarves. The dwarves, being upstanding gentleman (except for the whole keeping a dead body visible and around thing), refused. Good for them! But then the prince said, “Then give it to me, for I cannot live without Snow-White.” Instead of saying, “Ok, whatever creep,” the dwarves decided to take pity on him and gave him the coffin. Seriously, I would’ve at least tried to get some money from the whole thing. Anyway, so the prince made one of his attendants lug the thing through the forest and “it happened that they stumbled over a rut, and with the shock the piece of poisoned apple which lay in Snow-White’s mouth fell out,” and she woke up! Horay! He’s carrying her because her muscles are all atrophied from disuse. Ok, so this is the scene: She’s dead. No doubt about that. The poison was meant to kill her. She ate the apple, and had been sealed in a coffin for what the story says is “a long time.” Certainly long enough for her to explore whatever horrors or wonders lay beyond the grave. Imagine you’re in her position: You were dead, and then were dragged back to life while literally being dragged through a forest in a damn coffin by a group of men. Now imagine you’re in the attendant’s position: You’ve just been asked to carry the dead body your clearly psychotic prince just found in the middle of nowhere. Other than the weirdness, there’s the physical hassle of it all — I had to ask my neighbor’s help just to carry my couch into my apartment when I moved. Imagine what it’s like to carry an occupied coffin around the woods. And what do you know? The coffin door opens, and the dead chick sits up and starts talking. And what does the prince say to her, this girl that had been newly returned from the afterlife and is now being whisked away by strangers? He says, “You are safe with me.” I don’t know about you guys, but I would not find that reassuring. Anyway, then they get married and live happily ever after. Did these sisters really think the prince would never notice their chopped up feet? 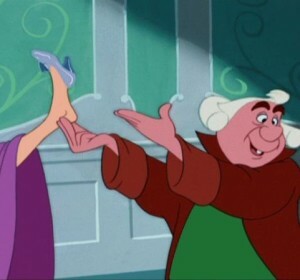 Finally it’s Cinderella’s turn. She tries on the slipper, and it fits perfectly! So all’s well there. But wait, is anyone else grossed out that she tried on the shoe contaminated with the blood of both her sisters? And we’re not talking a little bit of blood, but blood gushing from pretty icky wounds? The description of the second sister’s foot makes it sound as if the shoe was legit overflowing with blood. Let’s not forget that in this story the shoes are made of fabric, not glass, so you just know it got all soggy and gross. I think this one speaks for itself, don’t you? Incriminating quote: “The wedding was celebrated with great festivities, and the two sisters were smitten with blindness as a punishment for their wickedness. Wasn’t their self-inflicted mutilation punishment enough? Now they have to hobble around on hurt feet. Not to mention, one foot’s a size smaller than the other, so they’ll need all shoes specially made. Now they they’re blind as well? 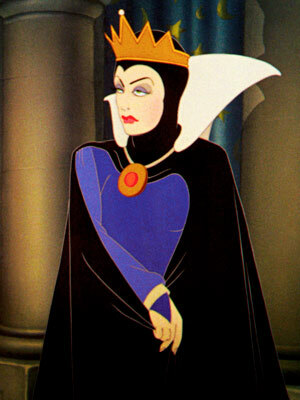 And what about the stepmother? Why doesn’t she get punished? 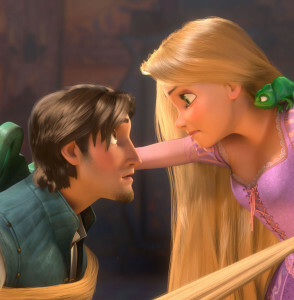 For the most part, Disney’s Tangled and Grimm’s Rapunzel are about the same: A girl with long hair and a good singing voice is trapped in a tower and saved by a handsome man. Both versions left in the disturbing element that she doesn’t mind being trapped in a tower all her life. What the Disney version didn’t include was what her and the handsome man were up to during all those secret meetings. There’s actually a lot to be worried about with their relationship and the story in general. Also, what drew the prince to the tower in the first place was her singing. The prince actually tricked her into letting down her hair — he saw the evil witch climb up that way and mimicked her voice. Basically, a complete stranger manipulated her into unlocking her bedroom window because he liked her singing voice. Can you imagine? You’re bored and singing alone to pass the time. Then there’s a knock at the door, and you hear what you think is a voice you recognize saying, “it’s me, open up!” Then some strange man comes into your house. That’s disturbing element number one. Hopefully I don’t need to explain to you why the whole “she had never seen a man” part is odd. Remember, this isn’t a little girl — she’s a young woman completely inexperienced and uneducated about the birds and the bees. They plan Rapunzel’s escape from the tower, but the witch figures out the plan and banishes Rapunzel to a desert. That’s when the bombshell WTF line about her giving birth to twins gets dropped. Wait… she gives birth in a desert? This girl who probably didn’t realize that her little “secret meetings” with the prince would lead to pregnancy in the first place gave birth to twins… alone… in a desert? Next time you start to complain about those ditzy Disney princesses and how they’re bad role models, just remember, it can be much, much worse. Sweet dreams, Reel Movie Nation fans! You forgot about the part where the prince falls from the tower into bushes and is blinded by the thorns. So he’s wandering the desert looking for Rapunzel. The Grimms wrote some heavy stuff! You’re right, I forgot! Yeah, they had some pretty gruesome punishments…. Maybe I’ll work that in when I do part 3 of my “Disney Fairytales are actually horrifying” series.